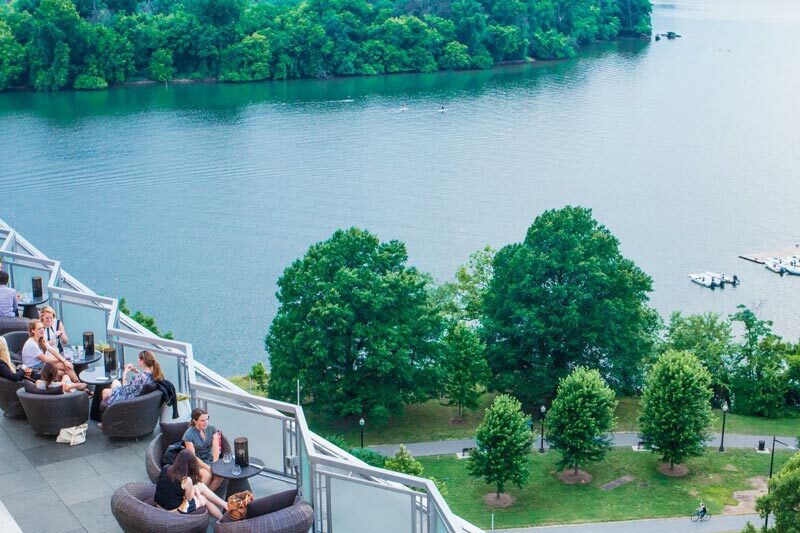 These famous places to stay can serve as the perfect backdrop to your DC visit. Washington, DC is a dream vacation for a history buff. So much of the country’s (and the world’s) past is housed within DC’s museums, and its monuments and memorials represent important historical figures and occurrences. 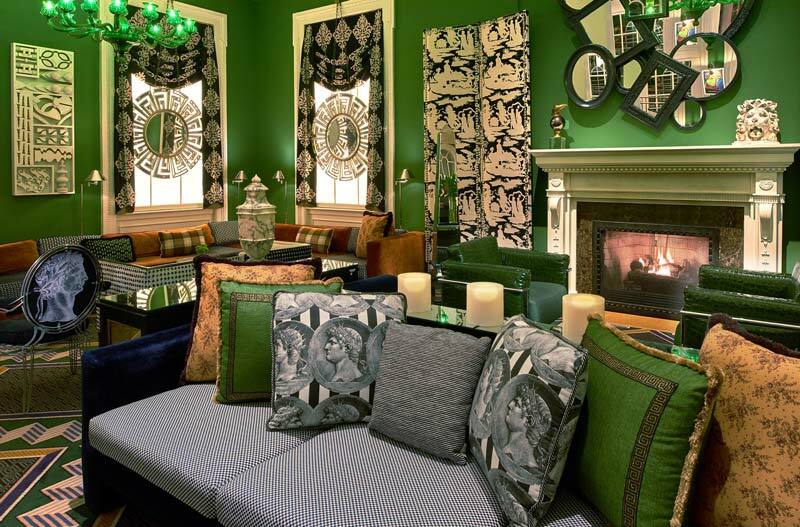 Supplement your educational experience by staying at a notable DC hotel that has history of its own. This legendary hotel is named after John Hay, who served as personal secretary to Abraham Lincoln and Secretary of State under two presidents, and Henry Adams, a Harvard professor and descendant of Presidents John and John Quincy Adams. The two men and their wives resided near Lafayette Square in the 19th century, their homes serving as popular gathering places for famous guests like Theodore Roosevelt and Mark Twain. The hotel now sits where the homes used to, with historic details scattered throughout: the famous Hay-Adams Room features wood paneling from the original Hay residence. 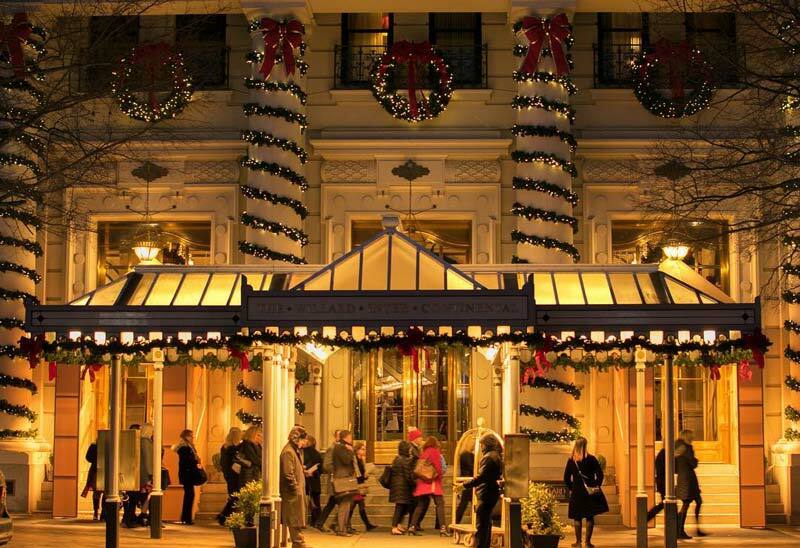 Affectionately known as “The Willard,” this beloved hotel began as a series of small houses on Pennsylvania Avenue, built in 1818. The houses were purchased by Henry Willard in 1847, who then combined the buildings to make one four-story hotel at 1401 Pennsylvania Avenue. The Willard had already made history by this point: the Mint Julep had been introduced outside of Kentucky for the first time by one Henry Clay at the hotel’s famous Round Robin Bar in 1830, a bar that you can still visit to this day. Other notable Willard facts: Abraham Lincoln took up residence there for 10 days prior to his 1861 inauguration and Dr. Martin Luther King, Jr. put the finishing touches on his “I Have A Dream” speech in the Willard’s lobby. Named after Thomas Jefferson, this Downtown hotel is fittingly just four blocks from the White House, features a Michelin-starred restaurant in Plume and boasts the cocktail haven that is Quill. The Jefferson’s history dates back to 1923, when the structure began as a new residential building sporting a beautiful Beaux Arts design. 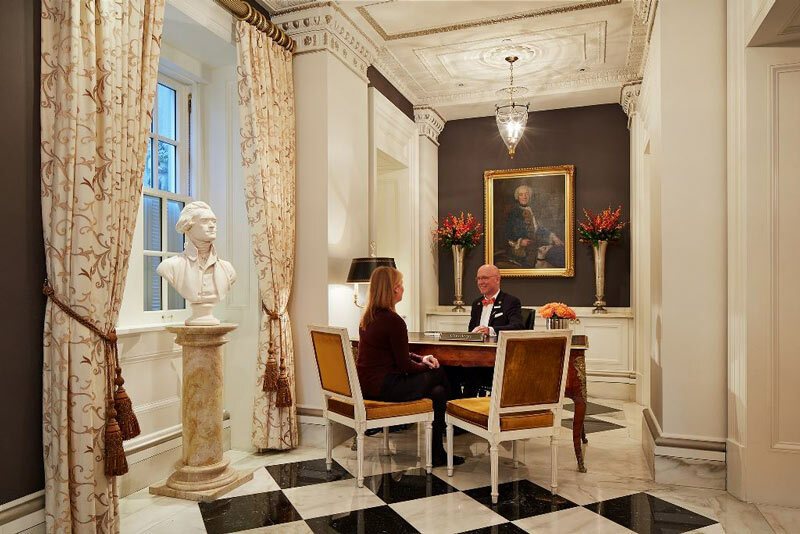 By 1955, the apartment had been turned into a small historic hotel and by 2009, the Jefferson was redesigned, adding historic Thomas Jefferson-related artifacts and a circa-1923 lobby skylight that had been covered for decades. Since its opening in 1965, the Washington Hilton has played host to U.S. presidents and world leaders and their momentous events in its 36,000-square-foot international ballroom, including the numerous editions of the White House Correspondents’ Association dinner. The locale also serves as the site where John Hinckley, Jr. attempted to assassinate President Ronald Reagan on March 30, 1981. The Capital Hilton resides just two blocks from the White House, an appropriate location because of the hotel’s famous Truman Executive Suite. The historic, 1,450-square-foot room provides an incredible view of downtown DC from its parlor. The suite also features the baby grand piano played by President Harry Truman during his many visits to the hotel. Fixed upon 11 beautiful acres that look out over Rock Creek Park, Omni Shoreham Hotel (known to many simply as “the Omni”) is also a site packed with history. The Beatles stayed there for four days during their first trip to the U.S. in February of 1964, marking the hotel as sacred ground for international music history. The Rolling Stones also stayed at the hotel shortly thereafter, and President John F. Kennedy was known to take Jackie Onasis to the hotel’s Blue Room for dates before the couple married. The Omni also hosted President Franklin D. Roosevelt’s first inaugural ball in 1933, then held inaugural balls for each subsequent U.S. president of the 20th century. 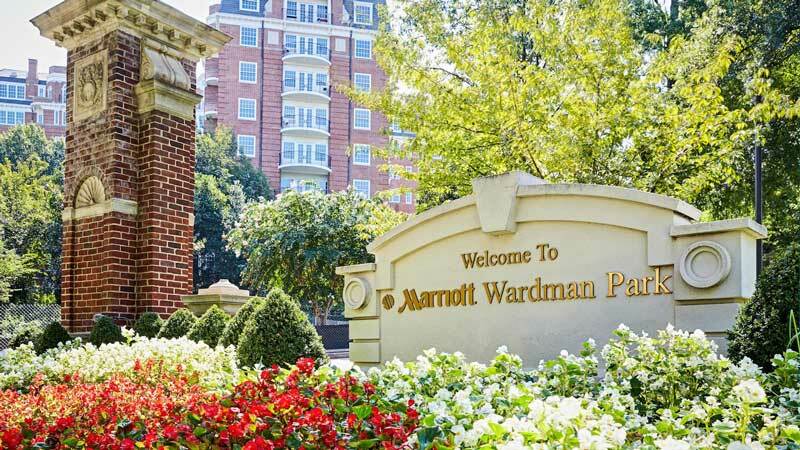 Washington Marriott Wardman Park began as the Wardman Park Hotel, the largest hotel in DC upon its opening in 1918. By 1928, the hotel had expanded to include Wardman Tower, an eight-story, 350-room building that eventually hosted Vice President Lyndon B. Johnson, President Dwight Eisenhower, President Herbert Hoover and many other historic figures. More history for you: one of America’s greatest poets, Langston Hughes, was discovered while working as a busboy at the Wardman Park Hotel in 1925. While the original Wardman Hotel building is no more, its beautiful update (opened in 1980) is just adjacent to where the original hotel resided. 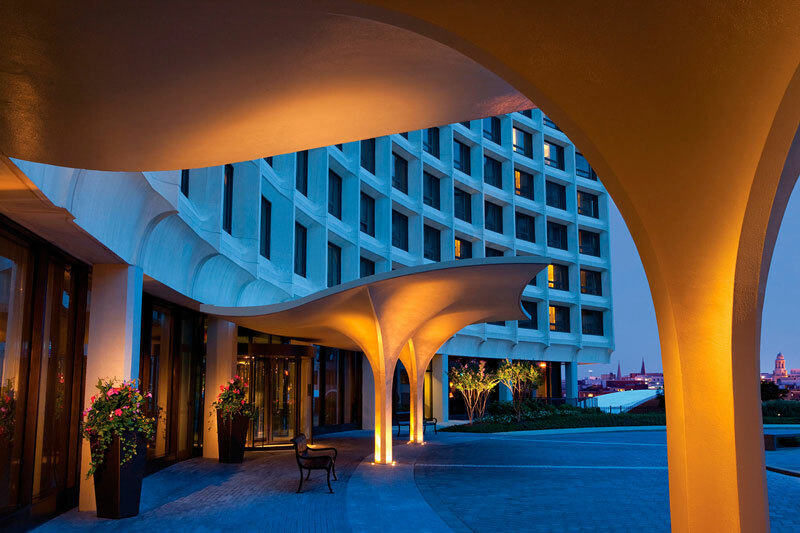 A stay at The Watergate Hotel means a stay in the vicinity of one of the most infamous burglaries in American history. The Watergate scandal began when, in June 1972, the Democratic National Committee’s headquarters, located inside the Watergate complex, were ransacked and robbed. The ensuing controversy, which eventually led to the resignation of President Richard M. Nixon in 1974, forever imprinted the word “Watergate” in the history books and changed the course of U.S. politics forever. A redesigned Watergate Hotel opened in 2016 and has fully embraced Watergate history – there’s even a Scandal Room decorated with Watergate memorabilia. The hotel also features three bars (including Top of the Gate, a rooftop abode) and Kingbird, a restaurant open for breakfast, lunch and dinner. 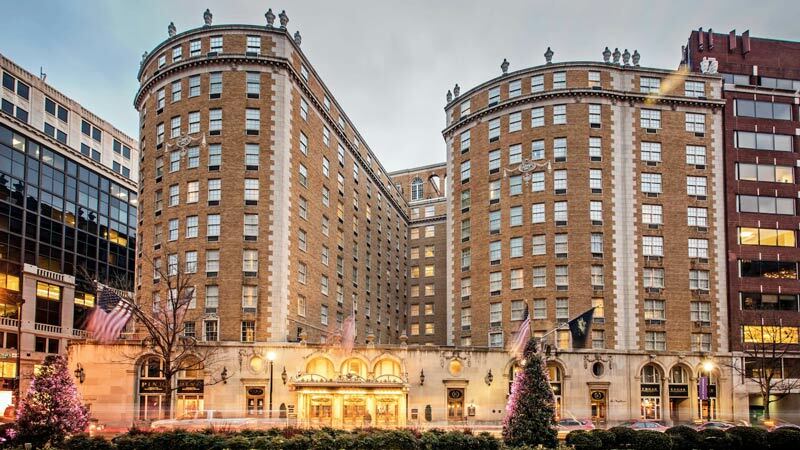 Lovingly referred to as DC’s “Second Best Address” (the White House is the presumed first), the Mayflower is the largest luxury hotel in the city and longest continuously operating hotel in the Washington, DC area, as its doors have been open since February 18, 1925. Decades and decades of DC history are contained within the Mayflower’s walls, and it’s served as the setting for major events since its earliest days. These include the Inaugural Ball of President Calvin Coolidge in 1925 (held just two weeks after the hotel opened) and the launching of President Harry S. Truman’s re-election campaign in 1948. Additional historical facts: J. Edgar Hoover, longtime director of the FBI, had lunch at the Mayflower every working day from 1952 until his death in 1972; the famous G.I. Bill was first drafted on hotel letterhead by World War I veteran Harry Colmery in room 570. This Kimpton hotel is housed inside DC’s original General Post Office, which first opened in 1839. The building began as Blodgett’s Hotel in 1795, situated in one of the busiest areas of the city. An accidental fire paved the way for the post office, which was crafted by Robert Mills, who eventually designed the Washington Monument. The General Post Office relocated in 1897, after which several government agencies occupied the building until it was vacated in 1997. The Hotel Monaco opened in 2002, maintaining much of the historical grandeur of the building. Look out for numerous DC and historical touches throughout the hotel, including a five-foot-wide medallion of a lion’s head in each room (an ode to DC’s government buildings), hanging globe sconces inspired by Union Station’s promenade and the jaw-dropping Paris Ballroom, which was once the library for the Postmaster General. Also, be sure to grab a drink at Dirty Habit, which contrasts the building’s classical architecture with futuristic, Gotham-like design.